30/10/2013 World Cup 2013 USA 32 - 20 Cook Is. The son of professional golfer Jack Newton, Clint was born in South Carolina in 1981 before his family moved back to Newcastle, New South Wales. He joined Newcastle and made his first team debut in 2001 and stayed at the club until 2007. 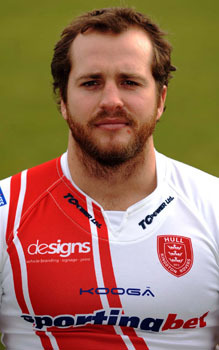 During 2004 Newton recieved a 12 week ban for elbowing St George\'s Ashton Sims. In May 2007 he signed for Melbourne Storm scoring in their Grand Final victory before moving to the Super League with Hull KR at the end of the season. He moved back to Austrialia signing for Penrith after the end of the 2011 season.